Located on SR-198 between SR-99 & I-5, 6 mi. west of Lemoore. -- FROM SR-99, turn off onto SR-198 going West . Keep going through the town of Lemoore until you see the base on the right. The exit for the main gate from SR-198 is well marked. -- FROM I-5 coming from the north, take SR-198 East. Go about 20 miles to the main gate exit. -- FROM I-5 coming from the south, take SR-41 towards Fresno (NE). After about 21 miles, turn left (West) on Jackson Ave. (There's a sign for Lemoore NAS). Go about 3.3 miles, turn right, cross SR-198 and get onto SR-198 heading West. In about 1 mile, exit SR-198 to the main gate. -- ALL: Use the right lane of the main gate. Be VERY CAREFUL, as it's difficult to make the turns in a long RV. 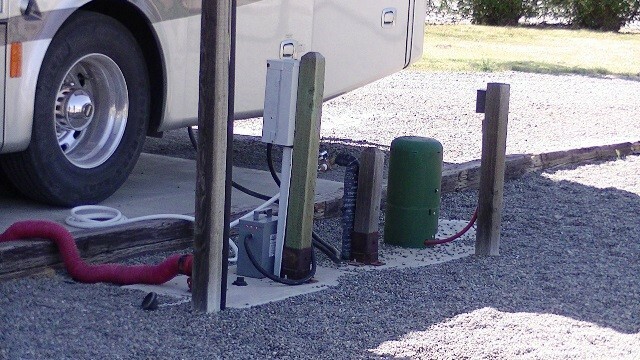 Many RV's will scrape or jump the right curb. Once through the main gate, continue straight to Franklin Ave. and turn right. When there's a McDonald's on the left, turn right onto Hancock Ave. The marked entrance to the campground is immediately on your left. You can pull in here and walk or drive to the ITT office for check-in. 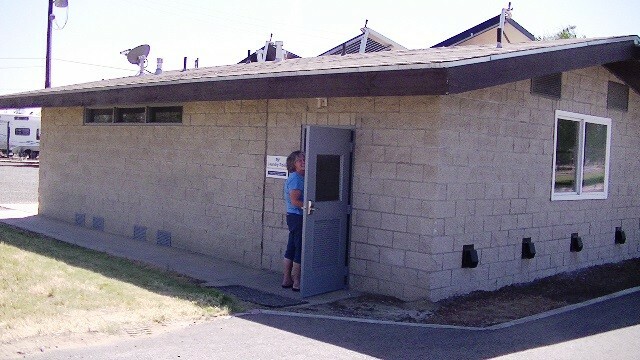 The ITT office is further down Hancock Ave, across the street from the RV Park and behind the gas station. If arriving after hours and on weekends, use the right lane of the main gate. If ITT is closed (although open 7 days a week), see the camp host. 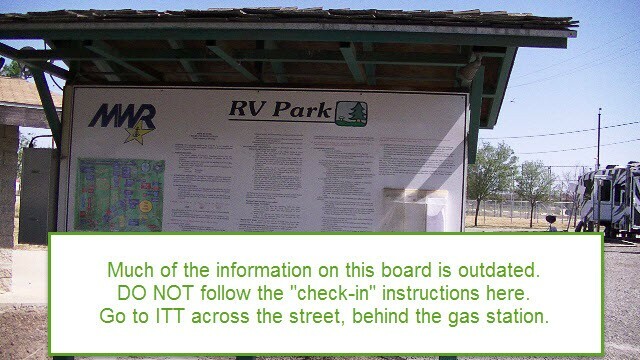 The self-checkin board at the campground entrance is no longer used and the instructions above it are outdated. Accepted with a one night stay deposit required. Local Active Duty- 10 weeks in advance. Other active duty- 7 weeks in advance. All others- 5 weeks in advance. A credit card is required for a reservation. 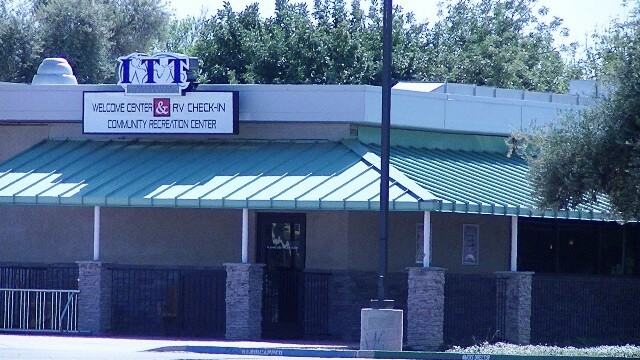 Free WiFi and computers are available at the ITT office, located across the street behind the gas station. 2 Pets are allowed but must adhere to base policies. Must provide current shot records. There is a large dog run at the RV Park. There is a 60 day stay limit, then out of the RV Park for a minimum of 7 days before returning. Propane, Hobby Shops, Driving Range, Cyber Center, Skate Park, Restaurant, Clubs, Dog Park. 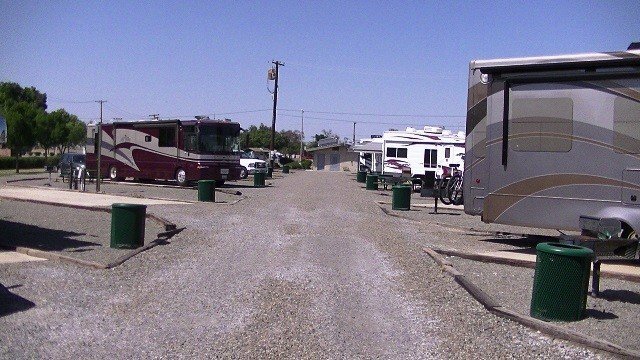 The RV park is very centrally located on base. It is easy walking distance to the ITT Center where you must check in, the gas station is across the street, the laundry/showers are close as are the fitness center, bowling alley and Spuds, the "chow hall." The laundry is free! Spuds is not a good deal, I would avoid it. The bowling alley has an amazingly large menu, great prices and excellent food. There is a relatively quiet area to eat separate from the bowling lanes. Spuds has a sports bar in addition to the eating facility but it is also extremely pricey for an on-base club. The RV park is supposed to have cable TV hook ups at every site but the host told us they have not have cable service in many months. If you are just stopping for one night and don't mind dry camping the Tachi Palace Indian Casino is five miles down the road. They offer free dry camping. Their parking lot is quiet and patrolled by security 24/7. We stayed at Lemoore in a travel trailer. The RV park was very nice. Pull through concrete pad sites abound, camp host (Army type - yeah) was very helpful and site is easily found. A couple of things though - park streets are very narrow and lined with railroad ties and registration was muddled. We had a reservation and upon arrival (1600 hours and camp host was not immediately available), we called the reservation number. Oops - after much apologies the nice young lady admitted that they couldn't figure out how to work the software. Not a real problem BUT if the NAS expands as indicated - figure out the software please. The camp host didn't bother us that night but the next day apologized again with my receipt in hand. We gladly stay here again as we move through California - but wow it really is in the middle of Not Much. We stayed here in our motorhome. 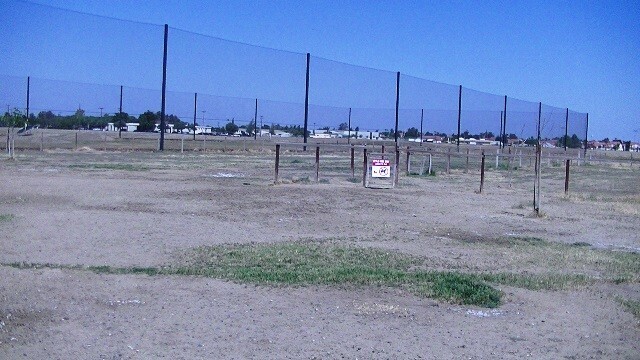 Lemoore is a great base with a great park, the folks at the villiage rock ! BUT - be aware that the base is destined to be the largest navy air base on earth, right now all the roads are torn up for improvement, the whole base is abuzz trying to get updated before the new jets and new squadrons move in. I suspect when that happens the RV park will fill up with ships company members who will be waiting for limited housing on base. one thing I can't understand. they have a section over by the horse stables where base housing had long ago been removed. this area has all the utilities n the ground, all the spots marked off and would make a superb 2cd RV park, trees, grass, everything the RV park doesn't have now. I wonder why MWR hasn't turned that into a park yet ? Arrived without reservations: no problem as there were many open sites. The folks at Check-in were very cordial and helpful. Entire base seemed to be more modernized than any we've visited before. We compared our experiences at Lemoore with those at Seal Beach to reach our ratings. This was our first visit to this campground and we only stayed one night. We recently downsized from a 36 foot Class A to a 24 foot van conversion so we needed to check out laundry and restroom/shower facilities. We made our reservation over the phone just one day in advance and we were pleased that they could accommodate us. We were assigned a site number over the phone and unfortunately when we arrived that site was occupied. Went to the office (which I was very surprised was open since it was Easter Sunday) and the young lady there was very pleasant and helpful. She assigned us another site and we were pleased. Sites were very level, everything was in good working order. Surprised that the laundry was FREE! We have a restroom and shower in our tiny rig, but appreciate a BIG shower when it is available. The facilities here were very nice and extremely clean. This campground was a pleasant experience and we will undoubtedly stay here again in the future. It was a convenient stop on our trip from Arizona to visit grandkids in northern California. Lemoore NAS is a great half way point to spend the night from and to NorCa to San Diego. I talked to the friendly staff and made a reservation the day of our arrival. I told the staff the time I expected to pull in and I would pay cash for the camp site. The drive took us longer than expected and we arrived late. We drove in from the East and the GPS took us to the wrong gate. Security was helpful and we where only six miles from the main gate. Full hook ups were available including cable TV. However, the cable TV was not available, I think because I was not able to pay in advance, the cable was not turned on. All sites are pull through and the pad is cement and level, everywhere else is rock. At each site is a trash can which is nice to be able to dump your trash. Near the RV camp ground is a golf driving range, McDonalds, swimming pool with an awesome curly slide and bathrooms that we did not use. On this web site is a couple of videos that are very accurate to what I saw. I recommend watching them. We left early the next morning and I did not find an RV check in and there is no RV host. I called the reservation desk and paid for my site. We will be back again. I have a 24' Toyhauler pulled by a Silverado Diesel. Although it was an in route short stay it was pleasant. We had three Grandsons along and this was their first visit to a Military Facility. They enjoyed a tour of the airfield and even though it was on a Saturday pilots were flying. I will return on future trips north. Grandsons thought it was pretty special going into the PX, probably because Grandpa bought them Lemoore Naval hats with the understanding that they were to still join the MC. We were pleased to find the weather comfortable. When we arrived the side entrance gate was unmanned. I called the billeting office and they were very helpful and directed us back to the main gate. By the time we arrived back at the main gate the guards knew we were coming. My daddy once said if you can't say something nice, don't say anything at all. Spent the week here while visiting nearby Sequoia National Monument. We had reservations and arrived on a weekend. The bulletin board normally has incoming reservations posted, but not this time. We found the host in site #13, but he didn't have our reservation information. He was very friendly and helped us. The check-in process has changed. Check-ins are now across the street at the ITT office, which is open 7 days a week. We finally got paid and settled in. They need to remove the old instructions on the bulletin board. The RV Park is "okay", but nothing special. No WiFi, but the laundry is free. The laundry and restrooms were very clean. Park never got above $60% full all week. The dining facility is next to the RV Park, called "Spuds". We had dinner there one night, but though it was expensive at $11 a person for a limited menu selection. For active duty sailors, it's their free dining hall. We recently had a better dinner for $8 at the Camp San Luis Obispo dining hall. 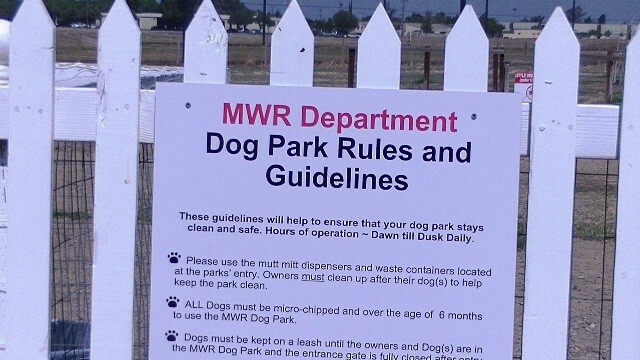 Much of the MWR facilities are falling apart and neglected. I agree with previous reviewers, MWR isn't what it used to be. Well, I hate to give a bad review of any park, especially when I have given Lemoore such high marks in the past, but something is going on here I hate to see. The base is not being taken very good care of, they have closed the mess hall as have several others including Fallon. When you go to the ops side you see many, many civilians actually doing maintainance on the planes. 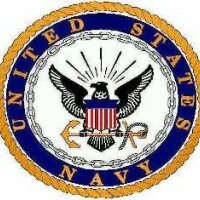 They tell me Obama wants the sailors on ships and are replacing them with civilians ???? Oh well, not much we can do about that, they King, has spoken. The park is as always a overly warm parking lot with a slab for your trailer and a picnic table in the gravel. Period ! The staff in the billiting office as always are really great girls to deal with, they make the stay far better just by being who they are. I am thinking we are going to head up to Beale and look around. Might be a better place to winter next year. V.O. left this review using the Directory software: - This is a very nice FamCamp; great location. The abnormal heat wave did make it uncomfortable being outside. But, we enjoyed our visit and thought the FamCamp was very nice and great value. We were there over weekend; no camp host on site; got combination to restrooms from another guest. Combination to Men's room didn't work! o.k. apparently someone has been reading these posts. the grass was cut, the park cleaned up and the laundry room, while not clean was bug free. too many homesteaders for an r.v park like this one. the staff were, as always, very good to deal with. 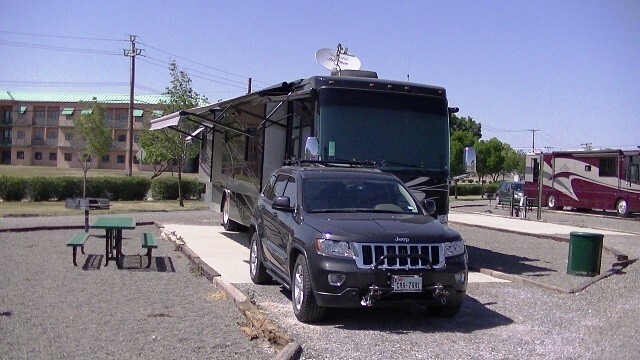 we had bought a new 5th wheel and the bank in colo. wanted a vin inspection before they would finalize the loan. the base security officers came over and did the vin check and sent it to colo. thanks guys, you rock! we will be back in October to have a 50th anniversary party with my best friend in fresno, so we will see how it holds up. what a shame. the things going on in the navy today. mwr seems to have given up on doing anything except make money off the sailors. this was once a nice rv park but now the weeds are a foot tall all around my trailer, the place filty. my wife tried to do the laundry but was faced with a horde of roaches, we went to the store and bought bug spray to spray the laundry and shower house. we had stayed at fallon last week and were told they had closed their galley due to funding, Lemoore is about to do the same. all the lawns around base have been allowed to go to weeds and are not being mowed. what a shame this is. we are thinking its time to stop staying on navy bases, they aren't much cheaper than civilian rv parks anymore. shame on whoever cut the budget that deeply, maybe the military needs to look at the banking and insurance industry, or maybe the auto industry for a bailout, huh ? Arrived on the weekend. Was unable to locate the host or anyone on the staff to get the numbers/code for the restroom and laundry. I was finally able to get the info I needed from long time guests. Very friendly guests. Interestingly enough because the laundromat is free it seems that other people from outside the camp site know the access code as a number of cars drive up to the laundry and use the free facility. The sites are adequate, However, it has no shade and is very noisy. It located right next to a busy street. There are a few positive aspects to this site as pointed out in some of the other reviews. It is very unlikely I would recommend this site to anyone, nor is it likely I'll return. Made reservations in early January and when arrived there was no record of it. Worked out okay and the staff was very courteous and helpful. Lemoore is not really a place on my list of top vacation spots but we do have very good friends who live here so we make the best of it. I still believe $25/day is high for a military campground. It has been a slow, gradual increase in everything MWR has their hands in and a steady decrease in use of facilities by me as the prices increase. 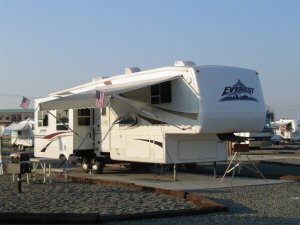 For example we stayed in Sparks, NV at a private RV resort in the heart of the action for $1 more than NAS Fallon was charging. This was our first visit and we were very pleased with the location and base amenities. We had made reservations and given a space # and upon our arrival, it was taken, but there were plenty of vacancies, so no problem. 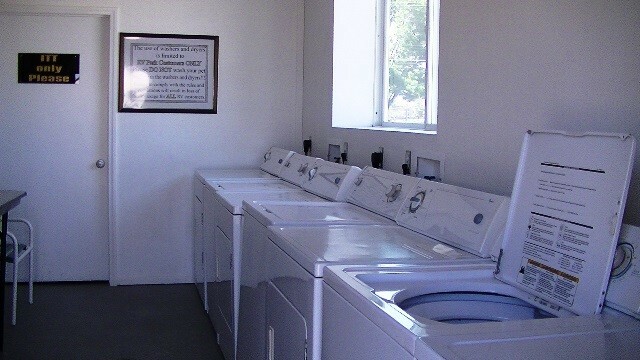 The laundry facilities were at no cost, which was nice. Restrooms included one shower and needed a good cleaning, but signage states that the cleaning funds had been reduced and for everyone to do their part to keep things clean. Gas Station was just across the street, as is a McDonalds, a Brewpub, a Driving Range and Dog Park. Many conveniences withing walking distance. The ladies working at the MWR were very friendly and helpful. We really liked this stop and will be back for a longer stay. I would like to add to my comments on 30 Apr 13. I swore I would never stay at Lemoore again but then my daughter got stationed there so I tried again. I called and made reservations and was given a reservation number and the same day I was emailed the number along with a promise to call me the day before my arrival and give me my site number. I was called as promised and also received an email with the site number. When I arrived the site was vacant and all went well. Someone obviously listened to the complaints and took steps to correct the problems.